""Speedy and simple approach to get customer criticism."" There is just a single negative remark I have. I wish there was an alternate method to name documents. The records are recorded in sequential order request and we need to think of document names that we'd preferably not use to get them in the request we need them to be. I additionally wish that you could pick on the off chance that you need the "Wiredrive numbers" to appear since a few customers get confounded between those numbers and the rendition numbers we give the records. The business standard, simple to utilize, a lot of choices, however the requirement for somebody talented in pressure in fundamental. Measure of room per cost is high yet I envision this will move with coming contenders and the falling expense of memory.Definitely suggest working with this item for media the executives and sharing. At my chosen form of employment, I just need to use the program on occasion however my associates continue endlessly about how incredible it is. We have observed it to be a useful item at our organization. We are taking care of the issue of getting our customers the speediest and most proficient introduction of materials. This enables choices to be made rapidly as Advertising is a quick paced business. We can comply with time constraints less demanding than we ever could before Wiredrive. Correspondence should even be possible inside Wiredrive so that outside messages or telephone calls aren't especially important. It's likewise too helpful to have the app.It gets slices to customers exceptionally quick! ""Wiredrive is the best organization for making custom reels." Having attempted Simian and Interdubs, Wiredrive is the cleanest item out there for making custom reels, despite the fact that the others offer other advantages.It's extremely secure. I don't feel like anybody will effectively have the capacity to hack in to our benefits. Likewise, the help group is exceptionally useful and fast to react. The interface is awkward and unintuitive. I think the customers think that its threatening and don't generally use it the manner in which we'd like them to. I wound up making some instructional exercise recordings to help out which I shouldn't have to do with an item like this. In view of my exploration, this is the best alternative available, however it's as yet a wide-open market so ideally they keep on enhancing, else I would wager that some other organization will tag along that genuinely exceeds expectations at this specific service.Consider this item for video remarks alone. Magnificent approach to get customer criticism as fast as conceivable without perplexity of email strings and lost remarks. We required an approach to house the majority of our customer's expectations and stock media resources so the customer could without much of a stretch sort out and discover records, and afterward share them with us for use in current projects.The most serious issue it comprehends is helping us increase future work. On account of the Library work we can store a great deal of past tasks and afterward when we get a call about our capacities I can without much of a stretch make a custom introduction for the new customer. That solitary assignment used to be an enormous errand and take a lot of time. I'm all for effective project management. It's important to be able to collaborate and share personal tasks among a group in order to collectively reach an end goal. Sharing tasks and files is limited and not as many specs as you would assume to have when paying the price for this product. Also, unlike Google Calendar or Office 365 Planner, accounts are not synced under one system. Evaluate all options.. There are cheaper project management software that can offer the same capabilities with smoother integration. We use Wire Drive to help us manage our weekly tasks for our radio station. Our graphics department will have their own to-do list, our vendor sponsors will have there's, etc. I like that I can be shuffling around the reel while watching a spot. I love that I don't have to save the reel in order to not loose what I am working on. The tracking mails don't tell me where the person is viewing from like Simian does (it tells you a general area like a city). They don't alert me each time it was watched. I can't batch move items that are already categorized. For example, I need to move 400 .jpgs that were uploaded under a certain director to another "director" I created to house that project and I have to do it one by one. There isn't a Batch Edit. Just batch upload. What I don't love is that I haven't seen many changes over the years. It seems to be the same and I feel by now they should improved certain things to compete with Simian's great tracking system. But in general, it was always a great system. Pricing is also an issue. I use my own personal work on Simian because they offered pricing that was ok for me as a once every couple of month user because I use my client's system's much more than my own. I sell my directors using reels I build on Wiredrive. It's an essential sales tool. "Great online file organizer, slow streaming speeds and bad for mobile. " I like that I have a folder structure online that I can use to store and organize my files. I use video a ton and work in the film industry so I use lots of video. I dislike that many times when I send I get complaints that it is very slow on mobile phones. I have also tried myself, and notice that it's not as nice as say a vimeo when it comes to online streaming via mobile. Great for online storage, but make sure you are doing your own file conversions at small bit rates so that you can easily access it with different internet speeds. Work in post production so am using it for reviews. But now seeing that the company 'frame i/o' is doing a better job for video reviews, because it is integrated with premier pro and has areas where you can add comments//markers and so on. It blows wiredrive out of the water for what I mainly need it for which is client feedback. "Wiredrive is the best company for creating custom reels. " Having tried Simian and Interdubs, Wiredrive is the cleanest product out there for creating custom reels, even though the others offer other advantages. 1. When I'm in a director's library, and I'm making a reel, if I scroll down quite a way and then click on a spot, once I click out of it, I am brought to the top of the library, instead of leaving me where I had been. This is very irritating. 2. Tracking the analytics is EXTREMELY important and arguably, this should be the most important thing for any production company (Simian is better at this). If I make a link for a reel that someone views, they might forward that link, allowing other people to see that same reel. It would be great to know which views are from separate IP addresses (i.e. other people). So, if I made the reel for "Jane" and I look at the analytics, it might seem like Jane has seen the reel 4 times, with some individual spots seen once, others 3 times, etc. But if Jane saw all the spots 100% and she then forwards the reel to two other people (let's call them Bill and John) and bill saw some spots only 20% and only one spot 100% while John saw some spots 50% and no spots 100%, it would be helpful to know that different IP addresses saw the spots that way instead of being given 3 views at 100% (since the 100% was generated by Jane while Bill and John only saw the spots partially). This is far and away the most important piece of data that I can get-- and if any other production company does not see the value of that, then they have no idea which way is up or down. Wiredrive is still the best/cleanest service to make and distribute custom reels. I am able to send/share work/reels at ease. I can easily make changes to reels, even after I sent them. The analytics allows me to see what works and what does not work. "Good at what it does but leaves lots of room for improvment"
It's very secure. I don't feel like anyone will easily be able to hack in to our assets. Also, the support team is very helpful and quick to respond. The interface is clunky and unintuitive. I think the clients find it intimidating and don't really utilize it the way we'd like them to. I ended up making some tutorial videos to try and help which I shouldn't have to do with a product like this. Based on my research, this is the best option on the market, but it's still a wide-open market so hopefully they continue to improve, otherwise I would bet that some other company will come along that truly excels at this particular service. We needed a way to house all of our client's deliverables and stock media assets so that the client could easily organize and find files, and then share them with us for use in current projects. "Would never manage without Wiredrive"
Wiredrive is our go to way to share files with our many clients. It's very easy to manage projects, files, and their security. I like all the options that wiredrive has in terms of notifications and reports. It's super easy for our less than tech proficient clients and layout is customizable and professional looking. Sometimes the reports on usage are off. There is not much else. Wiredrive is so easy to use for us and our clients. The biggest problem it solves is helping us gain future work. Thanks to the Library function we can store a lot of past projects and then when we get a call about our capabilities I can easily create a custom presentation for the new client. That single task used to be a huge chore and take a great deal of time. The other wonderful feature is that it is incredible easy for our clients to view the work on any device any where and any time. "Quick and easy way to get client feedback." What I like best about wiredrive is it's commenting system. Upload a video and add comments with direct links to time stamps of where specifically the comment is referring to saves me time. I don't have to scrub the timeline to find what my clients are referring to. Updates and uploads. I dislike the dedicated popup window for uploads. I would rather have it where I am uploading directly to the folder I am in already. Also for any kind of update you need to refresh the page in order to see the change. Occasionally the comments entered break html coding and you can see the source code in the comment itself; minor glitch I'm sure just more difficult to read the comments when it happens. Would also like to be able to easliy drag and move files in and out of folders with the mouse instead of select and choosing where to move through dropdowns as it is now. Consider this product for video comments alone. Excellent way to obtain client feedback as quickly as possible without confusion of email strings and lost comments. The business problems I am solving by using wireframe is break down of communications. For instance lost requests and comments through email are no more with direct feedback from on specific projects right in the wireframe environment. I like the uncomplicated view of wiredrive. It has nice clean lines and is easily organized. I do not like that while in wiredrive I can not pick a still frame of the video. I have to export a frame and then save it to wiredrive. It is 1 extra step that it would be nice to not have to do. Especially when you have to do it 42 times for 1 post. I would recommend them. There are changes coming in the pipeline that sound very promising to help achieve our goals. Again, it would be really nice if there were a few features that as a post house we use daily were implemented but hopefully that will be soon. I would tell who is looking at them that customer service is awesome. They answered all of my questions and are extremely helpful when first starting out. We have not had any issues since then. This is super helpful when creating specific reels. It solves the problem of posting our clients videos. "Wiredrive is a decent tool for viewing videos with your team"
I like that wiredrive can act as a central hub for all of my teams video projects. It is great that it automatically lets everyone appropriate know when a new video is uploaded, so everyone can stay up to date and know they have the most recent video cut. Sometimes I get too many notifications and don't know why. When someone watches a video posted, I'll get a random email that I dont want. Not sure if i can turn this off. Also, sometimes the videos don't play randomly and that gets annoying. Make sure everything is labeled well- it can be hard to find the project you are looking for sometimes. I often go folder to folder until i find the correct file- their search feature could be improved a bit. We make sure the people who need to see our videos get to see them. They are notified when a new video is up and we can all see that they have been notified. Makes people more accountable for their action. Thanks so much for the feedback. I run our Customer Success team here at Wiredrive- we’re the group responsible for anticipating your needs and ensuring you get the most out of the product. Regarding notifications-- yes! You are able to to do just that. When sending a project as a "Getlink" or using the “Share” option, just un-check the "Notify when viewed” box. We'd be glad to walk you through it, as well. Regarding improved search— we are currently exploring this, and your Customer Success Manager can definitely let you know when search improvements come to fruition. I’m shooting you an e-mail directly to put you in touch with your CSM. He’s your go-to resource for trainings, workflow needs, and product suggestions. Working with Wiredrive after working for a ton of horrible services has shown me how good Wiredrive really is. Wiredrive is always trying to have the most positive and respectful outlook on developing a strong and competitive brand. There are growing problems as with any service, but that will just be something that fixes itself over time. There is growing room. Wiredrive will help with collaborating with business partners and team members. You should give Wiredrive a chance to make your life easier. This service is help your company tremendously. I wish I would have used Wiredrive a long time ago. Wiredrive is a web-based media manager and collaboration service that enables different teams to work together seamlessly. This has helped me to collaborate with other members of my team and make working with others more convenient and smooth sailing. "Great Media Management and Sharing "
Wiredrive is great for building and maintaining a media library. There are a lot of ways to customize the user experience. The thing I liked best was how easy it was for everyone of varying skill sets to use. Difficult to save one single still frame. Wiredrive requires you to export the frame and then save it to Wiredrive. It would be nice if they could find a way to eliminate the extra step. Other than that, every other small or minute issue is easy to solve. Definitely recommend working with this product for media management and sharing. At my job, I only have to utilize the program once in a while but my coworkers go on and on about how great it is. We have found it to be a helpful product at our agency. One of the best benefits of Wiredrive is the fact that you can get statistics and analytics data. These metrics are crucial to the day to day analysis of sales and of the business in general. The interface is my favorite thing about wiredrive. It's crisp, white, and doesn't paralyze the user with too many options. Renaming folders is difficult. I wish you could rename them from the sidebar. The only way to rename them is to click on the root folder and navigate to the one you want to rename. I also wish there was a progress bar for copying or moving items within folders. No recommendations - the site is very easy to use. Make and keep subfolders to help keep yourself extra organized. At our office we use Wiredrive as a way to present commercial edits to clients. The simple interface, combined with easy download options, and short URLs make this very simple. I've never had a client come back to us with any confusion re: the links we send them. "Great for clients and rarely down, but needs a more versatile organizing interface and and API." The client-facing presentation side is great. Easy for them to use and navigate. Shortened URLs are helpful. Upload speeds are fast, and the service rarely seems to get interrupted. While I don't personally use it, the system for creating reels and archiving finished work seems to work well. The backend system for projects is often very tedious to navigate. Creating folders within folders, moving folders, etc. ends up being very difficult having to click each individual file, navigate the (often times extremely long) dropdown menu. The dropdown menu grows exponentially in length when using subfolders and becomes extremely difficult to navigate. What would be a 10 second task in Finder becomes a time-consuming task on Wiredrive. Not being able to manually sort the files on a link is often a problem (we have to rename the files to have 1, 2, 3...). An API would be indispensable for us to create custom workflows. While it's nice that we are given the option to name folders however we'd like, 99% of the time we do the exact same thing. So automating that process as much as possible would save us time and cut down on mistakes with postings. We almost always create a folder with the date, a short description, copy the link, and write an email in our email client. An API would cut down on the repetition dramatically. API would need to be able to upload, create folders, and retrieve a URL for sharing. Maybe adding a password as well. We've been using it the same way for almost 10 years. Postings to client and reels. So far wiredrive has been a fantastic filesharing service for me. You can send links and even share it in a manner that keeps track of who views it, you can even set links to expire at a specific time. My company uses Wiredrive almost exclusively due to it's reliability. Recently, we started sharing the files in a specific way that allows us to keep track of who is viewing the content shared. Due to recent security issues, this helps us keep tabs on where the content is going, and therefore helps keep things under wraps. The interface could be a bit more streamlined, but I'm not an expert so I don't really have a good constructive criticism to offer. I believe one small complaint I have is that when I select an uploaded file to view it, I can't hit the "Back" button in my browser to return to the previous page. I have to press the "Back" button presented in the web page to actually return to the previous page without losing my spot. It's a small complaint, but something I always have to keep in mind. I have nothing negative to say about Wiredrive. Try it for yourself and I doubt you'll be disappointed. I work for a television company that mainly uses Wiredrive to share content and episode edits. I'ts been extremely reliable and we've never had a reason to use another service. 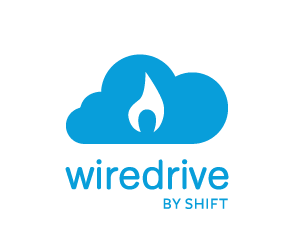 "Depends on how you use it"
Wiredrive allows for multiple forms of organization and file sharing. I like that it's easy to upload a video, maintain folders, and share links to clients. I primarily use Wiredrive to send videos to clients for review, as well as some occasional file sharing. Wiredrive is not the best platform for either of these tasks. Given the current market, there are much better platforms for review (such as Frame.io which allows live comments and versioning) and file sharing, such as multiple FTP sites. The biggest problem solve with wiredrive is its ease of use. Sometimes clients and end users can get bogged down by other sites with more features. Wiredrive's simple links make the process very straightforward. "An Excellent Tool for Professionals"
I really enjoyed how easy Wiredrive is to use. The process of uploading files, managing content and creating links feels smooth and efficient. I also really like the Library feature and its presentation style links. The only issue that I've had using Wiredrive has been the inability to alter links that have already been created. If an expiration date has been set, that date and time cannot be changed. I'll have to create a brand new link and manually expire the old one. I think the major benefit of Wiredrive for my team and I is how quick we are able to distribute content to the rest of the company (or externally). Instead of having to create dvds/blurays or transfer files to hard drives, we can simply email a link and everyone is happy! Wiredrive is a life saver and integral to my line of work. It allows me to assemble viewing links to send out to parties for review/approval. I can easy edit - add and remove items in seconds. It is a game changer in the Entertaiment Industry when in the "olden days" you had to send out physical DVDs. To be honest I dislike nothing. I do not have one single issue with Wiredrive. I highly recommend this software. It is worth every penny. Wiredrive is a cost effect way to keep a repository of folders with various versions of assets in one place for historical reference. That there is not an easy way to use it on Mobile (that I know of), sometimes if I'm not by a computer and I need to grant someone access to it, it would be much easier if there was an app or an easier way to use it through mobile internet and be able to do all the things I do on a regular basis. We've used WD for a long time so we already know the benefits! "Industry-leading Tool is Powerful but Marred by Unintuitive Interface"
Endless professional features built-in... links w/ built-in tracking (though imperfect), ability to share folders and complicated organizations of media, ability to have clients approve links or comment. I do not like the media management interface on the admin side... where you're uploading files to, how one moves folders, renames files or folders, navigates, etc, etc, could be much more intuitive. I wish system would automatically compress and serve media dynamically based on users device or connection -- lots of clients/agency watching on mobile devices these days, and would prefer not to have to instruct editors to always compress for smthg in-between. I'd love either a mobile admin app or a a mobile version of site. Often need to generate new links when on my phone, but it's not very easy... seems like current app is designed only for agency/client and directors. Create a best practices document for all editors that will be uploading to your account. I mean, I would imagine WireDrive knows the needs of their customers relatively well... We use it for that. We've tried to use Vimeo, Frame.io, Dropbox, our own custom system, I'm probably forgetting something else... Wiredrive is the most comprehensive and the most professions. We DO NOT use it for sharing photos though... I don't like the aesthetics/animations/client presentation enough. I deal w/ the nightmare Flash-based backend of DPHOTO because I love the way their galleries look and work! "Simple to use and great customer service." Ease of use and organizational tools. The software is simple to use on a user level and easy to teach to incoming team members. Videos play effortlessly regardless of device, whether desktops, laptops, tablets, or mobile, and our teams and reps use all. Making changes is nearly instant and the array of metadata options make it easy to create simple and effective search fields. Amount of space vs. price. With the growing quality and quantity of content being shot the price per month seems steep, especially when compared to some other services. Wiredrive has adjusted in the past to meet new requirements but that hasn't happened this year, but I'm confident it will. It would be nice to have the option to make adjusts to the site layout without having to contact support, but they are very fast when the need arises. Customizable user categories would also be nice, as the pre-set options do not always fit what a user needs. The industry standard, easy to use, plenty of options, but the need for someone skilled in compression in necessary. Amount of space per price is high but I imagine this will shift with coming competitors and the falling cost of memory. We quickly build and send reels and projects, whether individual users or in teams, and the simple system offered makes this a painless process, especially with new members. "Highly Recommended for Providing Streaming Content to Clients! " I highly recommend WireDrive for its ease of use! I'm an Assistant Editor on "America's Got Talent," and we've been using WireDrive for years. The only thing I dislike about WireDrive is that it no longer supports many of the popular internet browsers. When subbing out a portion of a longer QuickTime clip, or when stitching together individual acts to form a full episode, WireDrive has sync issues with certain browsers, where the audio is many seconds out of sync with the picture. For this reason, we are no longer able to stitch together pieces of quicktimes, or sub out small portions of longer quicktimes, and upload to WireDrive. This is a huge inconvenience in the work place. It also adds more risk when sending a rough cut of an episode to the Network, which looks fine for us, but may not play correctly for the Network (NBC). If an hour and a half-long output finishes, only for us to realize there was a mistake on the slate, we now have to re-export the entire hour and a half-output, rather than just re-exporting the slate and stitching it together like we used to do. What a huge inconvenience! It gets cuts to clients very fast! "Saves me daily when I need to get videos out in a hurry!" I like the fact that when I need to get something in front of someone in a hurry and I don't have time to wait for the back and forth with a post company or such that I can knock it out myself and get it in front of the team instantly. I liked the way you used to copy and paste, was a bit quicker and more efficient in my opinion. Now I have to highlight it and when I paste it is in a larger type with a gray backdrop and my email doesn't look as nice as it could. So I usually go back and change the font and size and remove the gray backdrop it now brings. The ability to send something or a batch of things to someone quickly and being able to bypass having to reach out to someone else to do it for me. I have realized some shortcuts that are nice and have made the use even easier. "Can't imagine life without Wiredrive"
The best thing about Wiredrive is the ease of use and practicality of it. I don't know of another service like it that allows such a seamless service between companies to display a variety of presentations. It seems like the gold standard in the advertising industry. There is only one negative comment I have. I wish there was a different way to label files. The files are listed in alphabetical order and we have to come up with file names that we'd rather not use to get them in the order we need them to be. I also wish that you could choose if you want the "Wiredrive numbers" to show up since some clients get confused between those numbers and the version numbers we give the files. We are solving the problem of getting our clients the quickest and most efficient presentation of materials. This allows decisions to be made quickly as Advertising is a very fast paced business. We are able to meet deadlines easier than we ever could before Wiredrive. Communication can even be done within Wiredrive so that outside emails or phone calls aren't particularly necessary. It's also super useful to have the app. "Easy to Send, Easy To Review"
The ability to create such a professional presentation is the best! The main aspect I love is the user front, where you are able to select users and send them a single email for them to work off of. This makes it easy to track file reception (based on who watches it) and makes it easy to deliver to clients. I wish there was a way in folder view to see file/folder sizes. Often when cleaning up extra space, I notice a single project contains a high GB of files, but when going through, it's hard to assess from a glance which folders contain larger files. The quick delivery to clients has been the biggest problem solver, and the ease of one platform to access all files. Rather than have to keep all files on separate company websites, we have one site (WireDrive) where all of our files are together, and the delivery platform is one many can agree on. In the last five years we’ve gotten to know several people at Wiredrive, and about a year ago I called Rob simply to tell him how amazed I was that we’ve never experienced an issue that prevented us from making a delivery on time. That’s pretty amazing to me. None of the elegant functionality of Wiredrive would matter if it didn’t work consistently. But it works uber-consistently, and that means everything in the industries we play in. There isn't much I don't like. This is minor, but it's an annoyance. I don't like that when I upload content that I have to manually refresh the page in order to see the content and create a link. It would be elegant if the page automatically refreshed. When we started working with Wiredrive four years ago we needed a way to deliver the music we make to clients. But it’s not like we just need to deliver a single track. We’re often delivering lots of tracks, many of which will undergo several rounds of revisions over the course of days or weeks. And most of the time we’re also sending our music attached to bulky video files. The industries we work in (film, tv, and advertising) are (as everyone reading this knows) super fast paced. Producers don’t have time to be wondering if they’re looking at or downloading the correct file. So we needed a way to deliver media that was elegant, that allowed us to keep everything well organized, and also one with fast upload and download speeds. Wiredrive checked all of these boxes, and still does. We also needed a way to organize our existing work, a tool that allowed us to construct reels to send to client. Wiredrive’s library feature has worked perfectly for this purpose. Finally we needed a way for people to view our work without having to download, especially as more and more clients are reviewing work on their smartphones. Wiredrive’s browser view feature has been an awesome way to provide this option for our clients. Quick upload, great queueing. Very easy to use and feels very safe. Many people in the agency even those who may not be too tech savvy are very quick to learning the user interface. I don't run the account but I'm constantly being pestered to keep files off of the site as we are billed for the space we use. I see the benefit of only having files uploaded that you need but often times we run into situations where clients refer to old links that have been deleted. To know the difference between long term cloud storage and a solution for sending large files rather quickly. To make sure people know its a solution for file transferring and not basic cloud storage. It's a great way to share video files within the office. Like I said most people here pick up the UI very quickly so it makes it easy to speak the Wiredrive language between colleagues. "A Great service with plenty of room for improvement"
I like how the project section is structured, its mostly easy to use and makes it easy to keep information secure through its team member management system. We often work on projects that require NDA's and a high level of sensitivity when it comes to who see's the information, Wiredrive has the features to allow us to keep this information secure while being able to easily share it. 1. I don't like that you can't "lock" a shared presentation. E.g. We have Base Reels for each director that our reps use as a starting point for constructing a reel on each job. However sometimes they forget to copy the reel and work off of that before making changes, which messes up the base reel for anyone who comes after, if an admin was able to lock a reel it would prevent this kind of thing from happening. 2. The separation between Admin and Library is sometimes frustrating and unintuitive, I should be able to make fast basic changes to videos in my library without having to go to the menu, hit admin, then re-search for my video all over again in order to make minor changes. can you build an edit button into the library so when you notice something while playing a video you can just hit that button and it makes the title/client etc sections editable instantly. 3. I don't like that I can't create a unique link for an individual video without having to build a presentation. If I just want to quickly send one video, I should be able to generate a link from library to share it quickly, rather than spending the time to build a presentation, which then clogs up the presentation list unnecessarily. We are able to maintain accountability within our own company and create solid timelines of when we receive cuts from various post companies. The projects section has turned out to be a great resource for that. as Soona s we receive content, we download it, add it to a dated folder inside of a project for that job so we have a complete history of ewverything we have received for that commercial, we can go back and reference any earlier materials we have received. I love that. The features are great. The platform does exactly what it says it does. A lot of bells and whistles, but you don't have to use them if you don't want. And they're very quick to fix any issues you may have. I had an issue with their newest roleout of features. The email formatting came in wrong, and double spaced lines. I began a support ticket with them, and it was resolved within the week. Because of clients running different platforms, it is hard for them to cater to all of them, but if there is an issue, they fix it promptly. I send out assets to clients daily, and Wiredrive is a charm to use this for. The formatting of the emails is nice and the team work with me to make sure that it looks exactly how I want it to look. They have a great support staff. Any issue I've had has been remedied quickly. "Wiredrive: The Way We Share"
The "Get Link" feature that allows me to just send a hyperlink in an email (without requiring anyone on the receiving end to need an app of any sort). Makes for such easy sharing. There are some limitations in terms of creating and organizing folders that are less instinctive than they could be. There are also some limitations in terms of sending individual pieces of media vs. folders. If you properly train your Wiredrive users, and implement a consistent system for using it, Wiredrive can be a completely effective and very very useful business tool. But the training is extremely important...make sure people use it properly and it will work wonders for you! Wiredrive solves the problem of sharing media with people in various places, many of whom are watching cuts on their phones or laptops, and can't deal with being sent something that requires them to download an app or a piece of software. We've been able to get answers more quickly by sharing cuts via Wiredrive. It has a user-friendly set up. Easy to create links and generally navigate. Not confusing. The upload can be a bit slow for bigger files. Even something as little as 1-2gbs can take 30-40 minutes. It would also be nice to be able to upload whole folder without having to compress them. The "copy link" button was removed. As someone who creates and sends links to a lot of clients, that button honestly saved a lot of time. It's a bit inconvenient to have to highlight and copy the link. That button was just a great, easy to use feature. We're a creative company, so we have to send our content out to our clients often for them to review and give us back notes. We also have to deliver graphics to clients, which we use Wiredrive for as well. It's easy to create downloadable links for those clients. "One of the best Media Sharing"
It has made it easier for me to show the presentations in all my meetings and the possibility of showing my work where I had to work, with great ease and security when working and using wiredrive daily and the possibility of using passwords and expiration dates for some jobs. "Wiredrive continues to be immensely useful in my daily workflow. " Ease of use. Wiredrive is easy to upload, organize and send media to clients for review and delivery. I've been using Wiredrive daily for a few years and because of it's simplicity and ease of use, I haven't found myself disliking anything about it. Give it a try. It was easy for our teams to get on board and start using it right away. A must for video production services. As a production company, we use Wiredrive to ship video deliverables but also send files for review. We work on multiple projects at once, not just my team but a whole department of several hundred. Wiredrive makes it easy to organize for each team to work with it without confusing what and who's where? "Overall better than other services we have used. Lacking a few features we miss." Not really sure how to answer this. I could help them with workflow tips I use or how it works, but in terms of "recommendations", I'm not really sure. Sorry, don't know what to add here other than just the general file sharing for review / approval. The importance of a good service is reenforced everyday. It's easy to upload and organize folders. We chew through TONS of footage and tests. I especially like the way it creates shortened URLS and copies with two clicks! After uploading, it'd be nice to have the page auto-refresh. I have to manually refresh when video uploads are done. It's a great system for viewing off-site dailies and rough cut exports! I use wiredrive every day at work to package and deliver large files. It's quick, simple and effective. Many file sharing services are cumbersome or expensive, while Wiredrive has a simple interface and is extremely reliable. Once in a while, when I'm simultaneously uploading multiple large files, the site may crash and shut down my browser. Additionally, it is a little hard to remove files from the wiredrive...it takes too many steps and clicks to get to that point. Wiredrive allows me to deliver files to clients in a timely and efficient manner. It has benefitted our speed of work and efficiency. "This is my go-to. I use it daily for virtually everything. " Wiredrive upload is super fast, reliable and flexible. Love the ability to create my own file name architecture. Love that it can be password protected and appreciate the ability to expire the links. I also really appreciate there are almost no size limitations. I have sent files from 3 mgs to 7 gigs. Fast upload and never an issue. If you want a really fast, easy, dependable file delivery method, go with Wiredrive. I have ftp partitions, dropbox, wetransfer and an Aspera account and Wiredrive beats them all for speed and ease of use. What's great is the recipient doesn't need a P2P connection, be in your 'community' or have a business account. You send them the link and they can see it. Only drawback is Wiredrive doesn't playback overseas. I use Wiredrive for everything - VFX shot approvals, sending spot links to executives, viewing only (no download) of confidential content to outside contractors, sending music cues to editors, sending large documents to Legal, etc. I truly mean I use it for EVERYTHING. The website UI's dark theme of greys and blacks that match the rest of my dark themed apps. Upload and download speed is not consistent . I live in Europe and notice a huge decline in speed, from about 2 MB/s on my 150mbit connection, down to 300KB/s once America wakes up and is in peak hours. Interface feels a bit old. I'd like to see it work more like a web app where you can drag and drop files, rearrange the order on the fly, rather than the clicking and updating you have to currently do. Overall it doesn't feel as fast and responsive as Google Drive or Mega, which I prefer to use. Price... well actually I don't know how much it costs, but I remember it being overpriced when I used to work at an ad agency, and spending too much time constantly clearing out files because we couldn't afford to upgrade to more space. I think Mega.nz is a lot cheaper, not to mention Google Drive which both have much better transfer speeds. 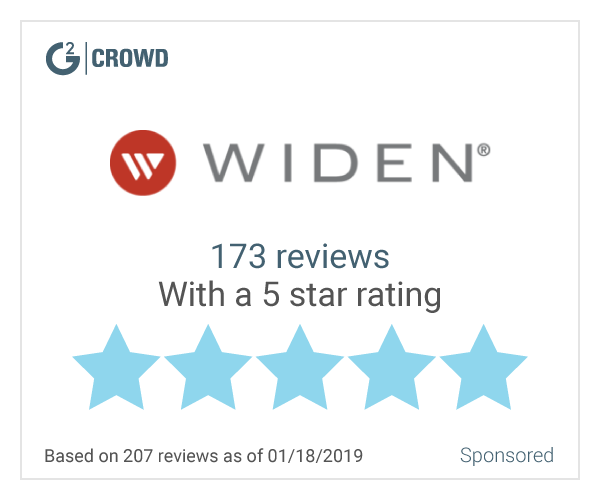 Wiredrive is just luckily to be the first and get name recognition as the standard secure-video-review service in the video/advertising industry. No problems that couldn't also be solved with Google Drive which I prefer more. I like the range of features wiredrive has to offer as it covers a lot of our companys aspects. It is laid out in a simple and easy to use manner. Whilst simple and easy, the interface at times can feel clunky. Speed in searching through archive can sometimes take a little longer as it constantly resets itself to the first page and can lag, however this may be due to our content. The flexibility of not only presenting work but sending it to be downloaded for clients with options for backing up work. "We'd be lost without wiredrive"
The simplicity of the interface makes it so anyone can use it. I'd like there to be a feature where you can see the emails you've sent in each project. Definitely go with Wiredrive. It's extremely simple and foolproof. They customize the page to your business and saves tons of data for you. We love it! We're able to share information with composers extremely easily. We use it to upload video, audio and other files for composers to work with. They can also upload their original tracks in the same place, which makes it very simple. "Video Editor's use of Wiredrive"
The interface and it's ease of use. It's easy for me to upload and share files and I get a notification when the link has been viewed. I know when and when not to bother the producers! I would like to see more analytical tools. So I can see how many views my videos are getting and which users are watching them and downloading the files. Making files easily sharable with producers, project managers and account people is super helpful. Them being able to quickly and easily share work with clients is super helpful as well. "Wiredrive: great for tv cut reviews"
Wiredrive is a great and secure alternative to the likes of YouTube and other similar services. Uploading media is also incredibly easy and fast. Storage space limits can be annoying. When upload anywhere from a few megabytes to gigs in a month keeping track of space is the last thing I want to do with multiple shows. Very full featured at the right price. Wiredrive helped us to send out cuts in a timely manner without a loss in quality. The benefits are improved when using admin tools to track who's watching what. "Quick, Easy, and Comprehensive Data Sharing"
We can share all kind of files including large data file such as psd. - It would be better if we can put memo on the file. I'm managing sales promotion and handling some creatives. WireDrive helps me to share those creative data with team members working in New York and Tokyo. Wiredrive is incredibly easy to use. Not only are our clients able to pick up the gist of it quickly, but training others takes very little time. I really wish there would be an option to have files remove themselves from the server after a designated amount of time. I would highly recommend using Wiredrive as it can serve many needs including both media management and media delivery. Using it to send video cuts to clients. It's fast and simple and most clients are able to view cuts quickly and easily. - The best feature by far is that I can make changes to folders and projects even after sending them to clients. - Wish you could send through media through wiredrive that are password protected instead of just using a link. "Expensive, mostly reliable, with a few things on my wish-list"
I rarely have trouble with reliability on wiredrive, Clients can view and download presentations without issue. It offers a clean interface and easy to use uploader. It would be great to be able to choose the order of items in a presentation without having to prepend them with a number. It would also be great to be able to select the thumbnail for the video without having to upload one. It's simple, reliable, and if you can afford it I'm sure it's worth it. I like the ability to share, share, share. And, I like the ability to share easily, on the go or at my desk. The ability to view on my mobile device was a GREAT feature. All in all I have used wiredrive for over 5 years and love where its at. I wish there was a drag and drop order feature. I am able to share internally and externally very easily. We make A LOT of content that requires A LOT of approvals, internal and external. * We monitor all Wiredrive reviews to prevent fraudulent reviews and keep review quality high. We do not post reviews by company employees or direct competitors. Validated reviews require the user to submit a screenshot of the product containing their user ID, in order to verify a user is an actual user of the product. Hi there! Are you looking to implement a solution like Wiredrive?